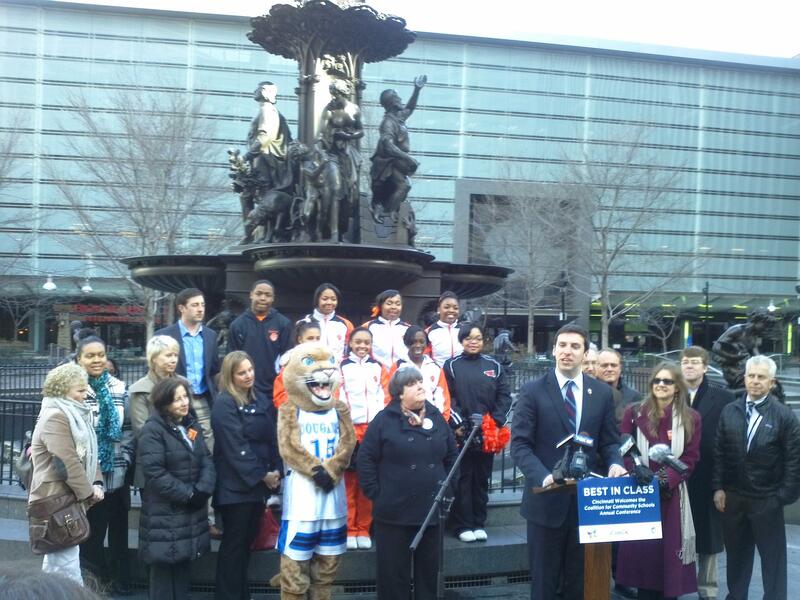 Cheerleaders, mascots, school officials and the Cincinnati Convention & Visitors Bureau join council member P.G. Sittenfeld on Fountain Square to announce the convention. "When all these folks come here and they see what we're doing - and they're coming because they know what we do - what we will really be celebrating is not only our children and staff and our schools but we'll be celebrating a community - a city - that has a long history of supporting its children and education in every possible way. It's about the partnerships. It's about keeping the community in schools." Organizers expect 1,500 visitors and more than 1,000 hotel room nights. The conference runs April 9-11.